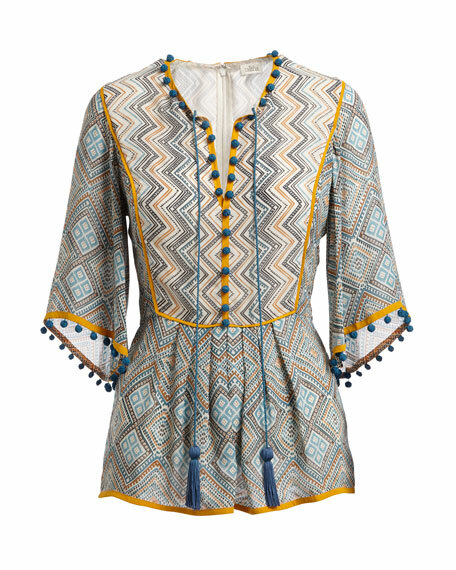 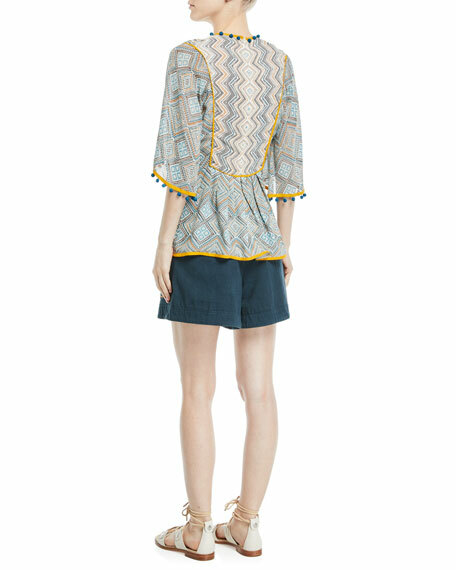 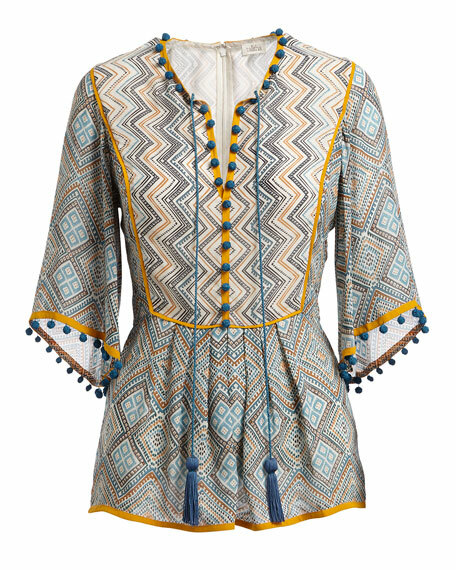 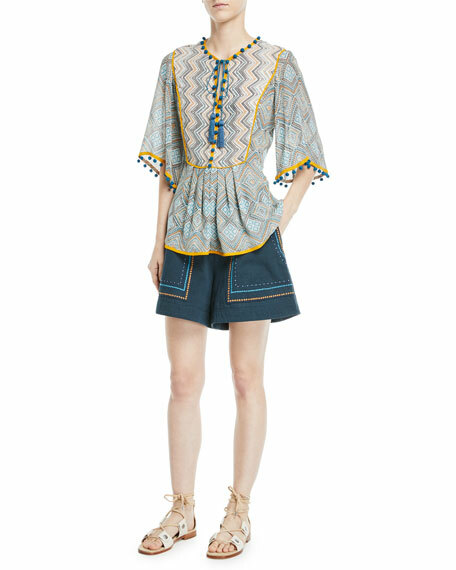 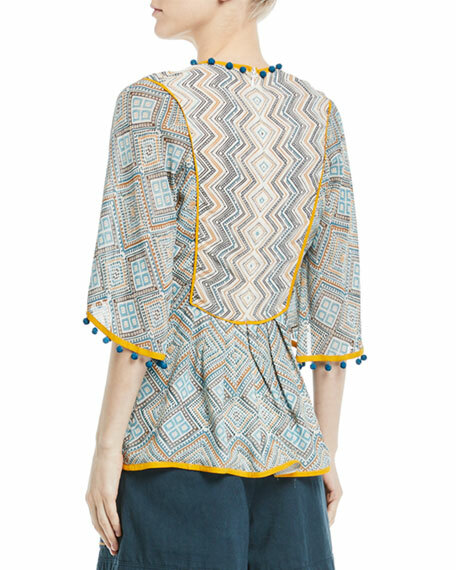 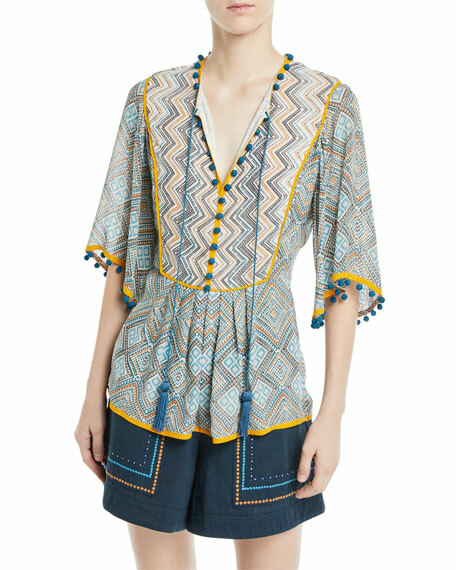 Talitha Collection printed tunic with pompom trim. 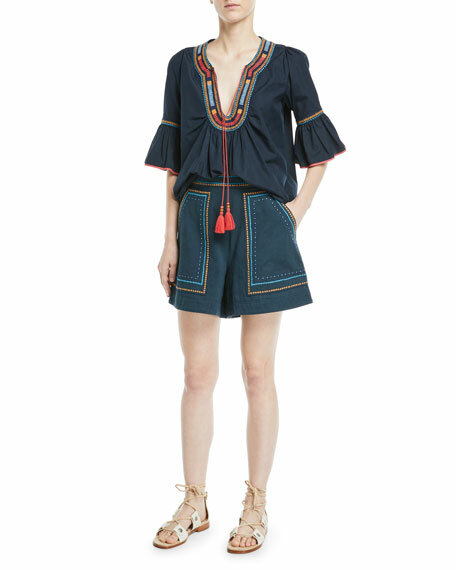 Split neckline with tassel tie. 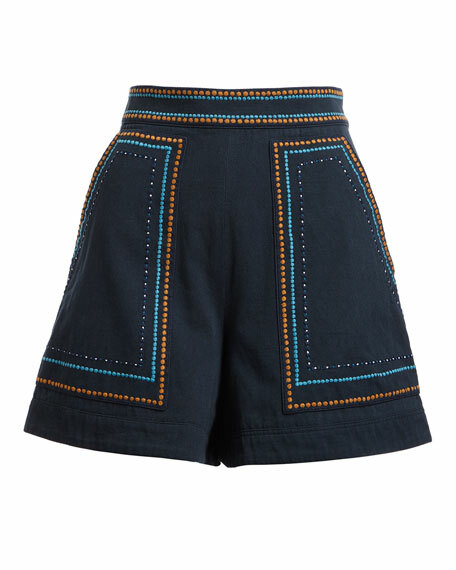 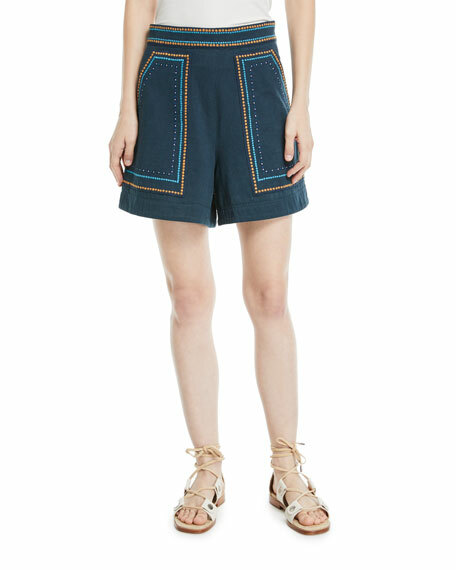 Talitha Collection twill shorts with jeweled and embroidery trim.